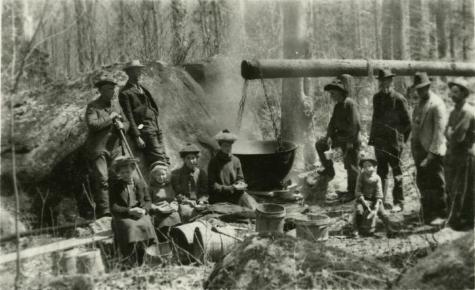 Group of Adirondack guides and their families gathered around large cauldron in a wooded area in the Keene Valley, making maple sugar. Source: Adirondack Museum Historical Photograph collection, no. P411.